Sri Lankan authorities Wednesday busted a major human trafficking network operating between Sri Lanka and Maldives, which had so far sent more than 100 Sri Lankan women to work in brothels in Maldives, Sri Lankan media sources said. According to Sri Lankan newspaper Daily Mirror quoting Sri Lanka Foreign Employment Bureau (SLFEB) sources said two Sri Lankan men, who allegedly masterminded the long-running human trafficking racket were also taken into custody after an investigation done through a decoy. Two men aged 37 and 55 were later remanded till November 25 after being produced before a magistrate court, the report said. The arrests had been reportedly made after the SLFEB being informed by a victim aged 35, who had escaped from the racket and returned to Sri Lanka. 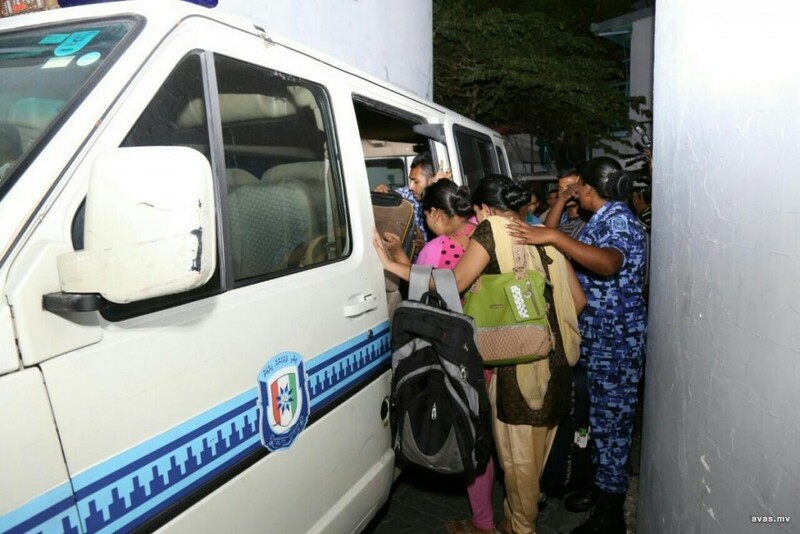 Another woman who was prepared to be sent to Maldives by yesterday was also rescued, the SLFEB said. During interrogations, the suspects had said they pay each woman more than Rs. 180,000 per month for engaging in prostitution in Maldives. “First they ask for a photograph of the woman. After selecting her, a brief explanation about the job is given. The majority of the women are aware while some of them are sent under the guise of giving them job opportunities as salon workers in Maldives,” officials from the SLFEB Media Unit said. According to the report, investigations were ongoing to arrest a Maldivian who is also largely involved in the racket by making preparations in Maldives. Maldives Embassy said they were unaware of the incident until then but assured that it would soon to look into the matter adding that they would decide whether to work together with authorities in Sri Lanka in support to the ongoing probe.